CV Productions, Inc., is a Pittsburgh, PA based mixed martial arts company, founded in 1979. It is considered the first MMA based company in the United States and responsible for creating the blueprint for modern mixed martial arts competition. The company promoted the first regulated league of mixed martial arts style competitions beginning in 1980 with the intention of creating a new sport. The Pittsburgh, PA-based mixed martial arts company was founded in 1979. CV Productions was the first grass roots movement to develop mixed martial arts into a modern mainstream sport. The World Martial Arts Fighting Association (WMAFA) sanctioned all CV Productions events. This was the first regulatory body for mixed martial arts and oversaw the Tough Guy, Battle of Brawlers and Super Fighter events “Super Fighters League” (SFL). The idea of finding America’s ultimate style of fighter was actually created in Pittsburgh by two ambitious Martial Artists in the 1970s, Bill Viola & Frank Caliguri (CV Productions). They set out to answer the age old burning question, “Who would win between Muhammad Ali, Bruce Lee, or Bruno Sammartino?” They’re answer lead them to create an organized legalized league of Mixed Martial Arts (MMA) style competitions. CV Productions was the first grass roots movement to develop mixed martial arts into a modern mainstream sport. Don’t be fooled by the hype, the UFC may have popularized MMA style events, but CV Productions were the first! 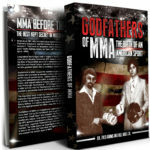 Decades before MMA was a household name, The Godfather’s of MMA were producing what the media dubbed as, “Organized, legalized street fighting.” Caliguri & Viola promoted championship fights that pitted grapplers, kick boxers, wrestlers, boxers, martial artists, street fighters, and all around “Tough Guys” against each other. hence their fights began to known as Tough Guy Championships, not to be confused with Toughman contests which were purely boxing. They also promoted fights under the banner of “Super Fighters” and the famous “Battle of the Brawlers.” The Tough Guy fighters could win by knockout, submission, or a judge’s decision. More than thirty years later, CV Production’s “Anything Goes” brainchild has become the fastest growing sport in the world! Early forms of Mixed Martial Arts can be traced back thousands of years ago to ancient Greece. However, it wasn’t until 1979 in Pittsburgh, that The United States saw the groundwork for actual organized MMA style fighting as a sport. It’s a popular misconception that MMA only emerged in the 1990s in America with the founding of the UFC (Ultimate Fighting Championship). UFC was popularized with the power of both the internet and Pay-per-view, a luxury that promoters in the 1970s-80s lacked. 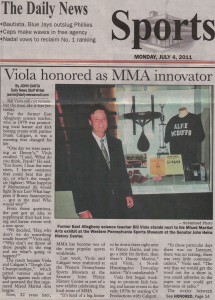 Viola had the vision to develop MMA style events into a mainstream sport; including a $100,000 prize fight set for Las Vegas in 1981 (an impressive purse for the time period). Viola wrote the rules, very similar to today’s MMA standards. including specific weight classes, open figured gloves, ringside doctors, etc. As fate would have it, a terrible accident (death) occurred in 1981 during a Toughman boxing event had NO association whatsoever with CV Productions. Unfortunately the Pennsylvania Legislature used this incident as an excuse to outlaw Mixed Martial Arts style events, even though it was a gross misunderstanding. The result of the hearings eventually lead to SENATE BILL No. 632 Session of 1983, banning mixed martial arts style events. In 2009 Pennsylvania lifted the ban and legalized MMA (Mixed Martial Arts). This ban, unbeknownst to the general public, was instituted in direct response to the popularity of the “Battle of The Brawlers” MMA style events 1979-1981. 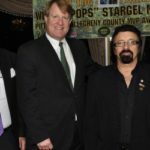 Thirty years ago, CV Productions were pioneers of MMA… today they are bringing respect back to Pittsburgh.